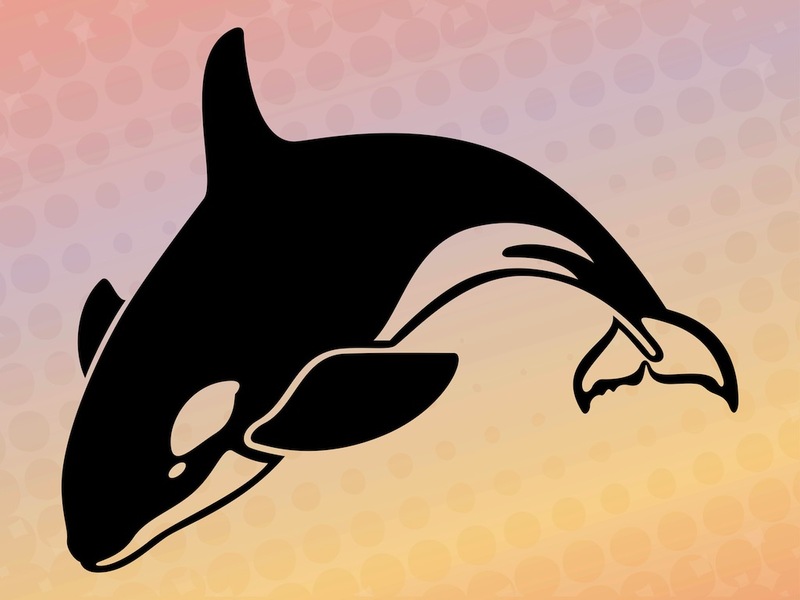 Vector graphics of a simplified silhouette of a killer whale. Jumping orca with the typical colors and patterns for this species of animals. Free jumping orca vector illustration for your company logos, application icons, stickers, posters and wallpapers projects. Sea animal illustration for all nature and animals designs. Tags: Animal, Aquatic, Fins, Jump, Killer Whale, Ocean, Sea, Sea Life, Water.